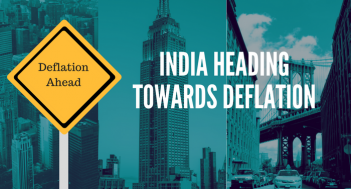 MUMBAI, India - July 24, 2017 - PRLog -- Decimal Point Analytics has published its weekly digest on 21 July titled "India Heading Towards Deflation"
First is the positive shock to the logistics efficiency, due to successful launch of GST in the country. Second is the successful adoption of Digital India Initiative by the masses and the accruing benefit to the economy. Lastly it is the better measurement of the CPI inflation itself. Decimal Point Analytics is a financial research & analytics company incorporated in 2003 with headquarters at Mumbai. It is an independent, management owned company, which provides actionable analytics to financial services companies. It offers customized solutions to investment management businesses that address specific challenges. It enables these customers to supplement their operations with additional resources and augment research processes using Artificial Intelligence (AI) technologies like Machine Learning (ML), Natural Language Processing (NLP) and Big Data. Decimal Point Analytics has presence across 4 global locations including the United States, UK and India.